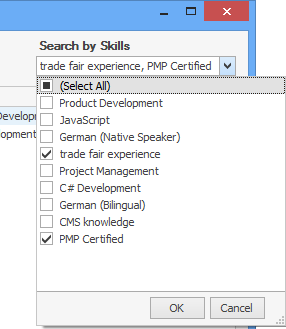 Define the skills of your team members in InLoox, such as language skills, special industry knowledge or certifications. This enables you to easily identify employees with the required skills inside your company, contact them directly and accurately allocate them according to their skills. 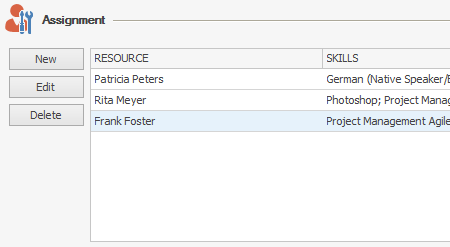 You can create, edit and delete skills in the InLoox Options, as well as assign or re-assign these skills to the respective resources. 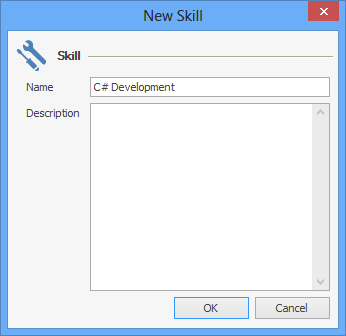 Click on New to create a new skill. 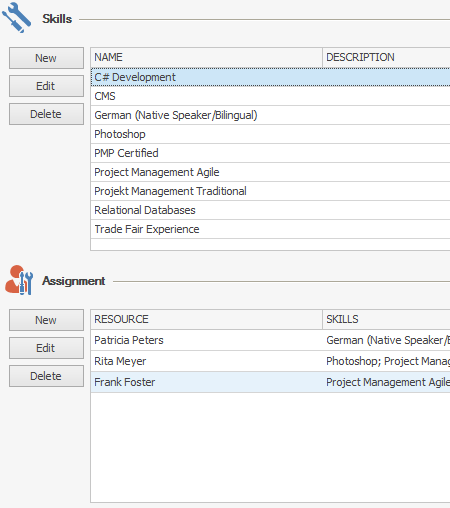 A new editing dialog opens in which you can give the new skill a name and add a description. A new editing dialog opens. Click on […] to open the address book. 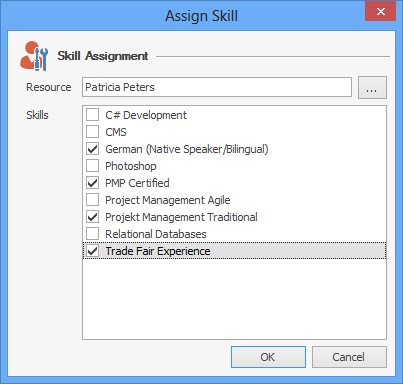 Choose the contact you want to assign skills to. Confirm your choice with OK. 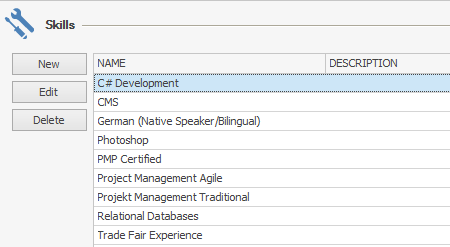 Select all skills you want to assign to the contact. Create and Assign Skills • Copyright 1999-2019 © InLoox, Inc. All rights reserved.